"Excellent value for money easy to follow instructions. Well happy with summerhouse." "excellent value, excellent service what more could you ask for. " Review:Pleased with our first summerhouse. We love the colour of the wood. Looking forward to relaxing in the garden. Thank you for leaving such lovely feedback. I hope that you are continuing to enjoy your new summerhouse. Thank you for taking the time to review our product. I am glad that you are enjoying your new summer house and hope that you will continue to enjoy it for many years to come. Our Reply:I am sorry that you are disappointed with your purchase. Have you contacted our customer service department on 0800 029 1000? I am sure they would be only too happy to help solve the problem. Review:Build quality good but wood quality poor, cracks and cheap mineral felt. Review:No idea because I don’t have it yet! Review:Pity it wasn't already painted like it is in the picture on line. The product description does state that the images are for illustration only and I am sorry if this was missed. I am pleased that you are happy with the quality of your summerhouse though and I am sure that you will have many happy years of use from it. We appreciate your 5* review of the summerhouse. The Vermont is popular and we hope that you enjoy the building for seasons to come. I am thrilled to know that you are so pleased with the quality of your summerhouse! We are always aiming to ensure that our designs are easy to build and I am glad that you found assembly to be straight forward. Thank you again for your great review! Review:Easy to assemble, good quality. Our Reply:Brilliant! We aim to make the assembly of our products as straight forward as possible, thank you for letting us know you found your summer house easy to assemble Mr Stone. Review:I great summerhouse. A few issues with the fitting of the doors but overall good. I am pleased to hear that you are happy with the Summerhouse. I am happy to hear that you're pleased with the Summerhouse and I thank you for taking the time to leave a review. I am pleased that you are happy with your Summerhouse and that the instructions were easy to follow. Review:This was a 2 man build as advised and constructed well as the detailed instructions provided. It is great to know that you are happy with the quality of your summerhouse and I am sure that you will have many happy years of use from it. Thank you again for your positive review. Review:Good purchase price wise and lovely finished when built up. The only downfall, is that it leaks in around the windows when it rains. It is great to know that your summerhouse met your expectations and I am sure you will have many happy years of use from it. Thank you again for your great feedback! It is wonderful to know that you are happy with the quality of your summerhouse and I thank you again for the great feedback! Review:excellent value, excellent service what more could you ask for. I am so pleased to know that you are happy with the excellent value for money of your summerhouse, as well as the excellent service. Thank you again for taking the time to offer your great feedback! 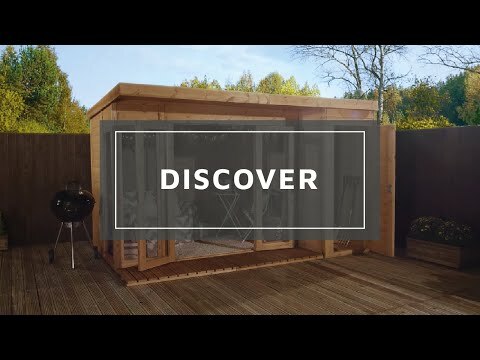 Review:Not hugely expensive compared to some summerhouse so it's not going to be amazing, but for the money we paid I was very happy with the product itself. It took about half a day to get the summerhouse up, a few adjustments were required and a few nails needed knocking on but can't complain at all. It is fantastic to know that you are happy with your summerhouse and I am sure you will have many happy years of use from it. Thank you for the image - it looks lovely! Review:The quality of the summerhouse was exceptional. I am thrilled to know that you are pleased with the exceptional quality of your summerhouse and I am sure you will have many happy years of enjoyment from it. Thank you again for your great review! Review:looks great. wood a bit rough in places and needed sanding. my husband managed to put it up my my assisitance, and with a third person for the heavier parts. I am pleased that you think your summerhouse is of excellent quality and I am sure you will have many happy years of use from it. I am also glad to know that assembly was straight forward and I thank you again for your great feedback. Thank you very much for your great feedback, I hope you enjoy your new summerhouse for many years to come. Review:Really good for £700. Lovely piece to add to our garden. Easy to construct too. I am thrilled to know that you are happy with the quality of your summerhouse and that assembly was straight forward. I am glad this had made a lovely addition to your garden and thank you again for your feedback! It is wonderful to know that you are happy with your summerhouse and it has lived up to your expectations. It is always lovely to hear from happy customers and I thank you for taking the time to provide us with your positive review! I am so pleased to know that you are happy with the quality and value of your summerhouse and we thank you for taking the time to provide us with your great feedback!